Growing companies must vigilantly manage their reputations among investors, the media, Internet users and the general public. PAIRELATIONS believes the best strategies involve integrating successful public relations campaigns with informative investor relations programs, intelligent digital media and social networking efforts – leveraging each effort with the others. PAIRELATIONS gets its clients noticed by top Wall Street analysts and portfolio managers. It also introduces its clients to key editors, writers, reporters, broadcasters, bloggers and social media thought leaders — nationally, regionally and locally. It offers a multi-pronged approach that not only invigorates corporate identities and generates awareness, but also attracts potential investors and new business. PAIRELATIONS is based in the Denver-metro area, but serves clients nationwide. It relies on its vast network of contacts on Wall Street and in the media nationwide. These relationships have been cultivated over the course of more than 20 years in the industry. As a boutique firm, it customizes its campaigns, and responds with a personal touch, to meet the distinct needs of every client. In March 2019, PAIRELATIONS opened an office in New York City. With its presence in the East and West, PAIRELATIONS is well positioned to handle the needs of corporate clients coast to coast. PAIRELATIONS’ CEO Susan J. Turkell is a seasoned public and investor relations specialist with more than 25 years of experience. She has both an agency and a corporate background and has worked on the East and West coasts. She has represented companies spanning a broad range of industries. Over the course of her career, Turkell has cultivated media contacts in the national financial press as well as daily newspapers, regional business journals, broadcast media and a variety of trade publications nationwide. She also has developed relationships with key members of the investment community on both the buy- and sell-sides. Before forming PAIRELATIONS, Turkell spent three years as Director of Public and Investor Relations at Apria Healthcare Group, Inc., one of the nation’s largest home healthcare providers (formerly Abbey Healthcare Group Incorporated and Homedco Group, Inc.). She handled all aspects of the company’s public and investor relations programs while also creating campaigns surrounding the billion dollar merger that formed Apria. Previously, Turkell spent nine years at The Financial Relations Board, Inc., a leading national investor relations agency, as Vice President and Associate Director of National Media Relations. 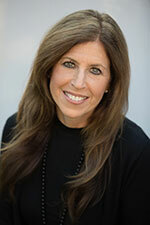 Turkell holds a Bachelor of Arts Degree in Communications from the State University of New York, College at New Paltz. She has completed additional studies at the New York Institute of Finance and The Dale Carnegie Institute. She has been affiliated with The Publicity Club of New York and The National Investor Relations Institute and is a member of The Public Relations Society of America.